We are looking for a people first, ego last, highly motivated, backend/core leader to lead an amazing team of energised, brilliant and creative senior engineers, working on unique challenges of scale and complex functionality while keeping the product fast and simple to use. 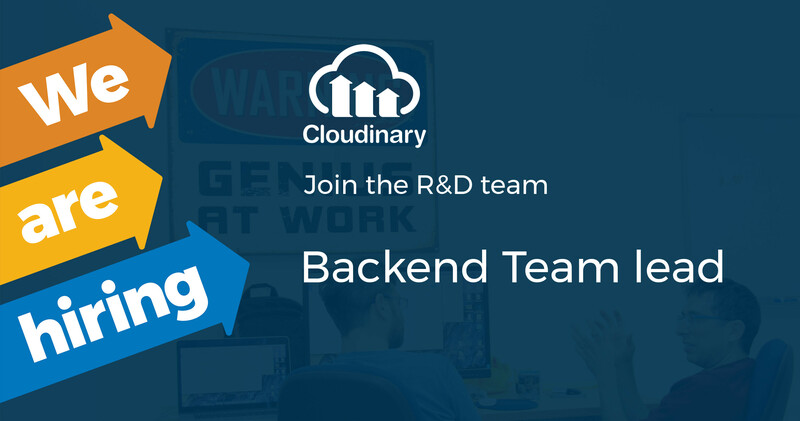 Lead and expand the cloudinary core team. Responsible for people professional and personal growth & well being. Building the team’s and product roadmap - Build the next generation of Cloudinary's image and video management service. Responsible (together with the team members) to the Cloudinary platform its up time, architecture & scale. Take major part in our strategic growth as R&D team - technology and process wise. 4+ years R&D management position. Experience working in an early-stage startup company and more mature one.